It is possible to travel here on a backpacker's budget. The secret is having the right information. Resting under the dappled shade of a solitary tree looking out over one of the most breathtaking vistas I had ever laid eyes on, I felt completely relaxed. So this is Raja Ampat, I told myself. I greedily drank in the panoramic view before me; the large sheltered bay of Wayag Island surrounded by a ring of jagged inky black cliffs that rose hundreds of feet out of the crystal clear turquoise waters. Dozens of islands dotted the bay rising 10, 20, 30 feet into the air. The combined effects of erosion and weathering had eaten into the base of these rocky outcrops giving them an odd mushroom shape; bulbous at the top and thin and spindly at the base. It was a site that I hoped would stay with me for a lifetime, but just in case my memory failed me I decided to take a photo. This was my fourth year in Indonesia and before I had organised this holiday, I had always believed that a trip to Raja Ampat would simply be out of my budget. 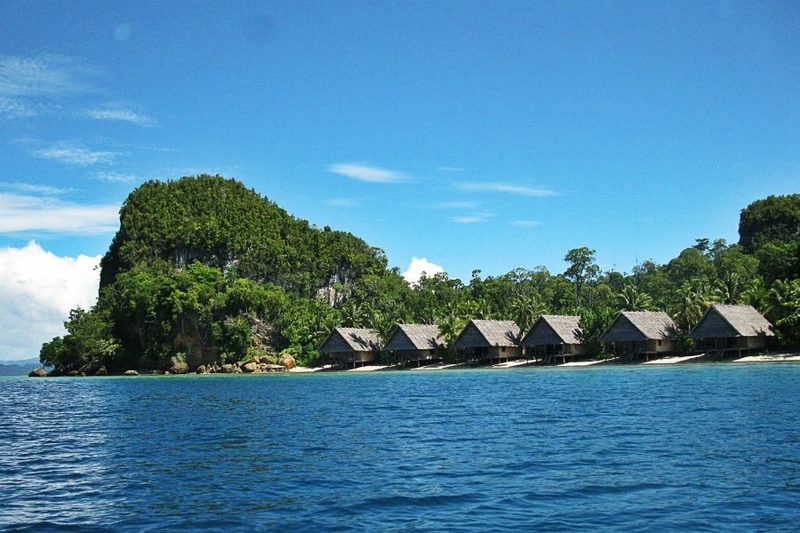 Poor infrastructure and exclusive luxury resorts have created a popular image of Raja Ampat being expensive. After a week spent exploring this archipelago of emerald-green isles, I had to agree that there was a lot of truth to this, but I had realised it is possible to travel here on a backpacker's budget. The secret of course is having the right information. If you fly, your trip to Raja Ampat will start in Sorong, a gritty port city that hugs the rolling hills along the coast of Papua. Sriwijaya Air, Express Air and Lion Air all fly to Sorong from Jakarta via Makassar. Tickets normally cost between $150-$450 return. While it is not possible to get direct tickets from Bali to Sorong, you can buy a ticket to Makassar and from there fly to Sorong. 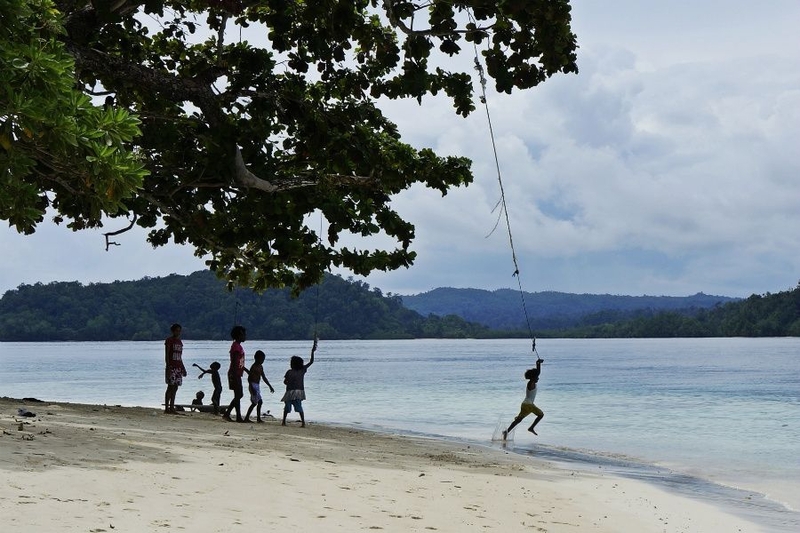 The first thing you will want to do once you land in Sorong is to leave. Luckily this is very simple as there are public ferries that shuttles people to Raja Ampat. A ferry ticket costs $15 per person and the crossing lasts two hours. Once in Raja Ampat you will need to get a tourism permit. You can buy this permit on any of the four main islands of Raja Ampat from the local offices of the Ministry of Tourism and Culture. A tourist permit costs Rp 500.000 for Indonesian nationals and $100 for foreigners. 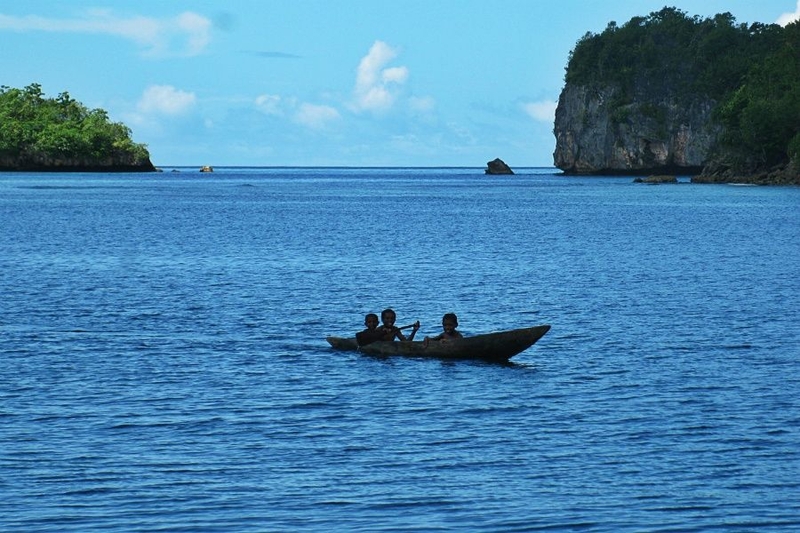 Anyone visiting Raja Ampat will need to rent a boat to explore Raja Ampat. A small vessel costs around $200 a day, while the larger boats used by tour operators that sit 20 people or more cost around $800 a day with crew and petrol. Four or five people splitting the costs on renting a small boat can do this on a backpacker’s budget, a single backpacker travelling alone can't. A lack of Internet and poor telecommunications in Raja Ampat means that word of mouth is often the best way of finding budget accommodation. For $40 per night it is possible to rent a bungalow. If your budget does not stretch this far, camping on the beach under an inky black sky filled with thousands of twinkling stars is completely free. Just remember to bring plenty of anti mosquito spray, because it is not as romantic as it sounds. The second option available to backpackers is group tours. These trips are normally run by and for backpackers. 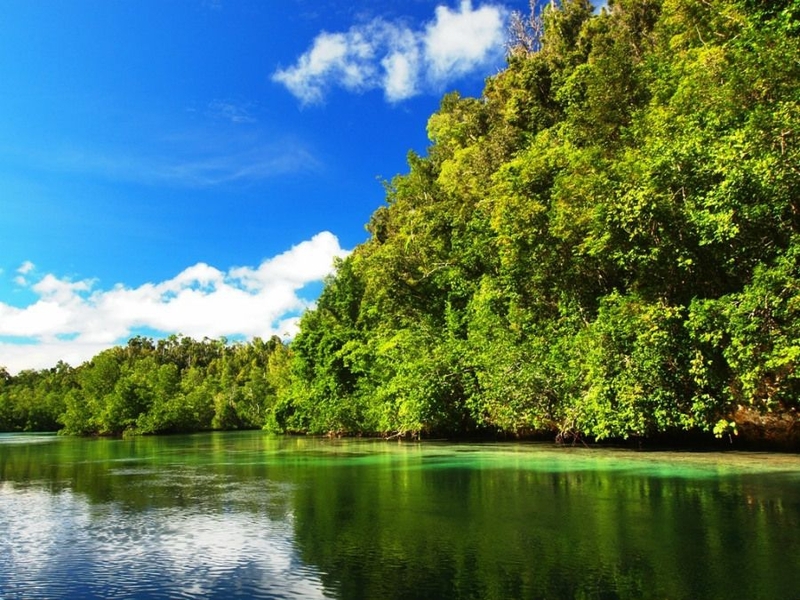 If you are lucky you can find six night seven day tours of Raja Ampat for as little as $500 and run up to $1,000. A quick search of the Internet will give you plenty of different options to choose from. Make sure to ask for an itinerary before you book anything and be aware that Indonesian group tours normally involve early mornings and late nights. 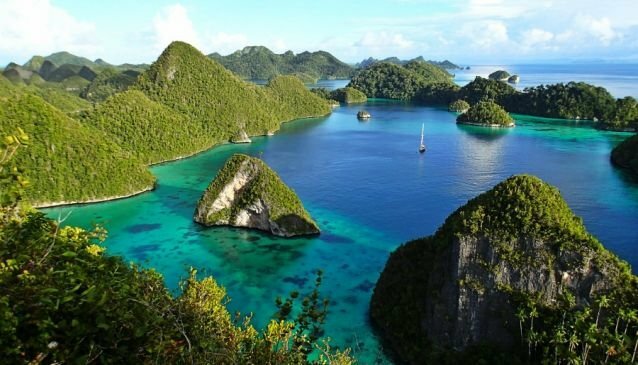 Each of the various options for exploring Raja Ampat on a backpacker’s budget offers something unique that will appeal to different travellers. For those who want a relaxing holiday on a golden sandy beach surrounded by tropical reefs teeming with multi-coloured fish, renting a cheap bungalow for a week will be the perfect vacation. If you are an adventurous spirit searching for a holiday of a lifetime in one of the most remote and beautiful spots on the planet then you should arrange your own trip. Organised trips on the other hand are great for people who have never visited Indonesia before and want to make lasting friendships with like-minded backpackers in a tropical paradise. Whichever option you choose in the end there are some things that you just shouldn't miss. Climbing the peak of Wayag Island and taking in the picturesque landscape was something truly special, but it is only one of the many amazing memories that I will take away from my holiday in Raja Ampat. Swimming with a group of manta rays that glided through the waters of the Pacific or the enormous three metre long reef shark that calmly swam past me are memories that will also stay with me for a lifetime. This is what makes Raja Ampat so special, because it is more than just the incredible scenery and stunning landscapes that makes this such a desirable holiday destination.